Kathy Dawson Books, 9780803741492, 464pp. Jane has lived a mostly ordinary life, raised by her recently deceased aunt Magnolia, whom she counted on to turn life into an adventure. Without Aunt Magnolia, Jane is lost. So she's easily swept away when a glamorous, capricious, and wealthy acquaintance from years ago asks Jane to accompany her to a gala at the extravagant island mansion called Tu Reviens. 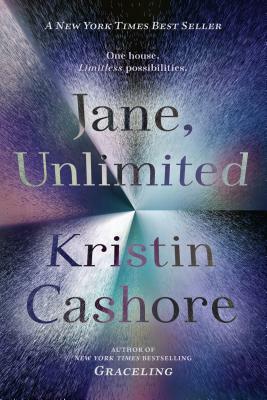 Read Jane, Unlimited and remember why The New York Times has raved, "Some authors can tell a good story; some can write well. Cashore is one of the rare novelists who do both."